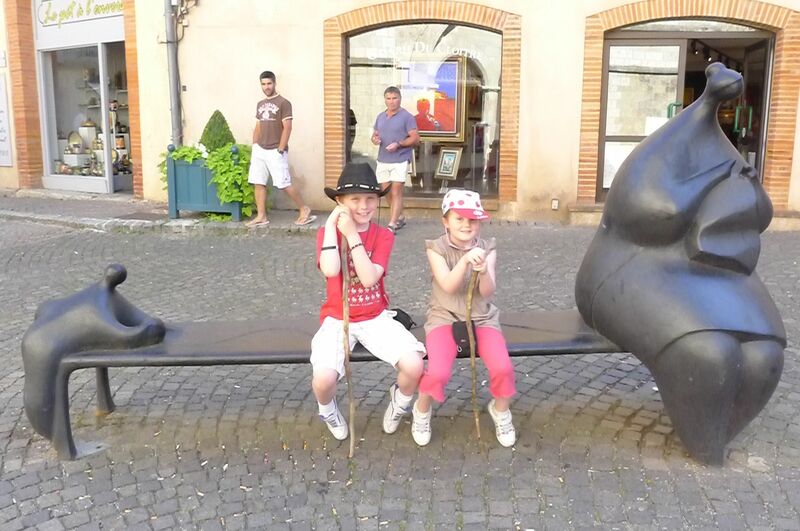 We have decided to drive to Moissac – even though it is officially outside of The Lot because we saw a very cool photo. There is a canal that cuts a diagonal swath through the bottom south west corner of France called the “Canal des Deux Mers” and it connects the Atlantic to the Mediterranean. 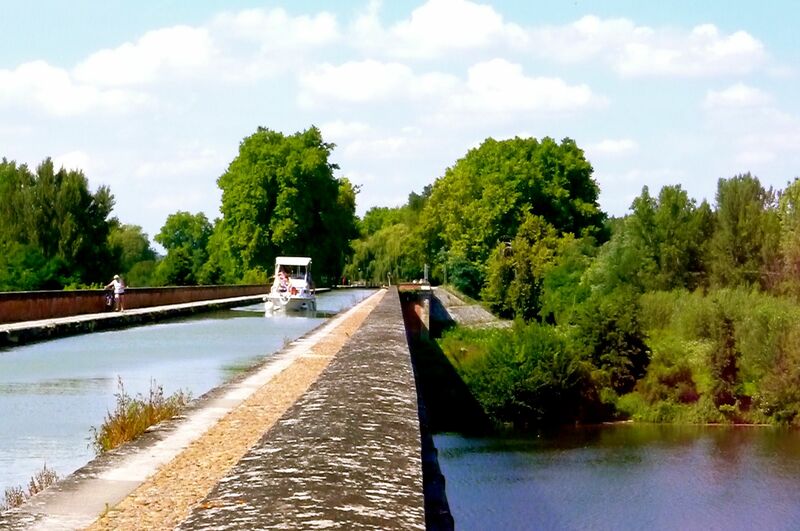 In the city of Moissac, the canal travels in part over the Tarn River. In effect it is a river over a river and we wanted to see it in person. We walked along the canal over the river and watched a boat travel up the lock and over the river. Very cool. 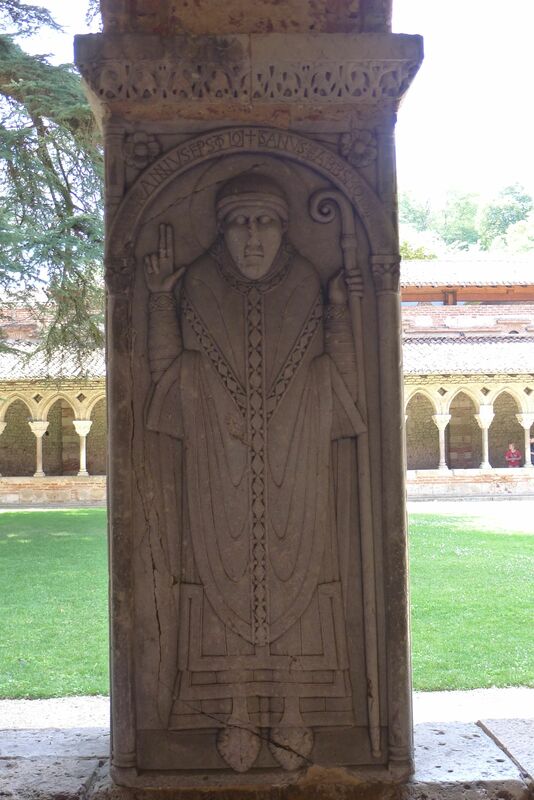 The Abbey and Cloister of St. Pierre which dates to the 12th century, is listed as a World Heritage Site. The tympanum on this church is incredible, but my photo of it is pretty bad. 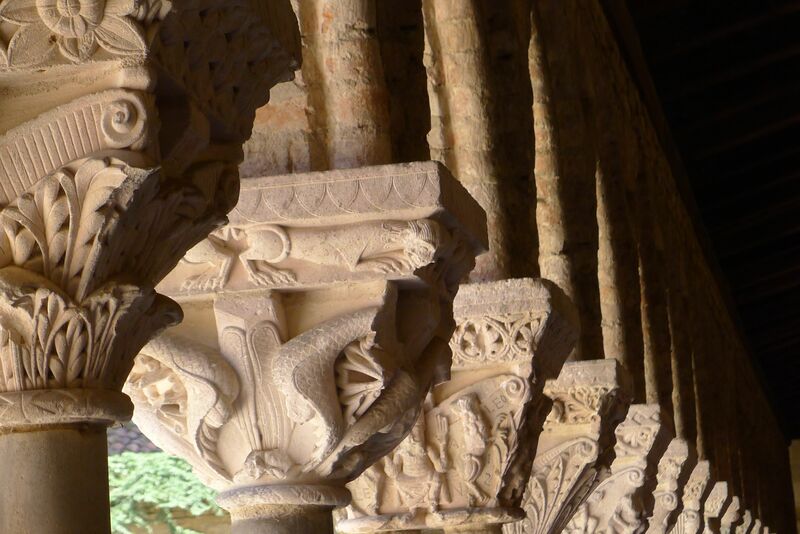 The photo below is a part of the cloister.